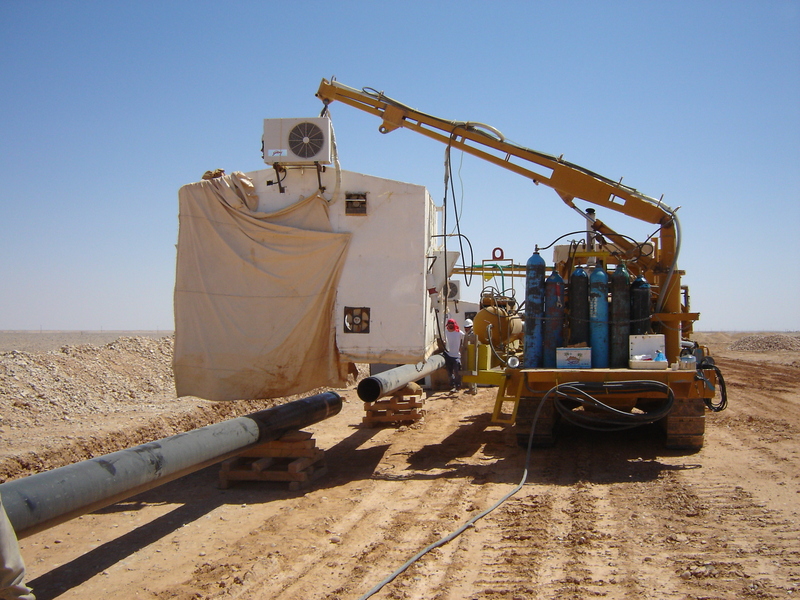 Many gas fields contain dangerous levels of hydrogen sulfide gas – odorless, colorless, toxic and corrosive. The Shah gas reservoir in Abu Dhabi contains 23% of the gas, as well as 10% CO2 requiring corrosion resistant piping from the well head to a processing facility. One solution to transporting so called “sour” gas is to use standard steel piping internally lined with a corrosion resistant alloy (CRA). This is usually Inconel 625 alloy (NiCrMo-3). The pipe can be lined with a tube of this material which is inserted into the id and mechanically expanded. Alternately, the id can be clad with a weld overlay. It is imperative that root and hot pass do not melt any steel and dilute the continuous CRA clad surface. The GTAW process is always used. The contractor Punj Lloyd was awarded the welding project of welding hundreds of 16” and 24” selected the Magnatech T Model system with Pipemaster 516 Controllers. Precision machining of the pipe end is required to create a “J” prep, where the land extension and Root face is cut into the Inconel clad layer, and does not include any carbon steel. Two T-Heads were used on a single Guide Ring. The ID required argon purging and a required interpass temperature of 177⁰C was maintained. Unlike conventional carbon steel welding, CRA welding has certain unique features. The joints need to be verified for traces of residual magnetism created by the cladding process. If it is present, then demagnetization is mandatory. The joints require thorough cleaning with lint-free cloth wet with acetone. The fit-up process used special internal clamps with a back purging capability. Throughout the welding process, back purging was maintained and a required limit on oxygen content less than 500 ppm was monitored with portable oxygen analyzers. 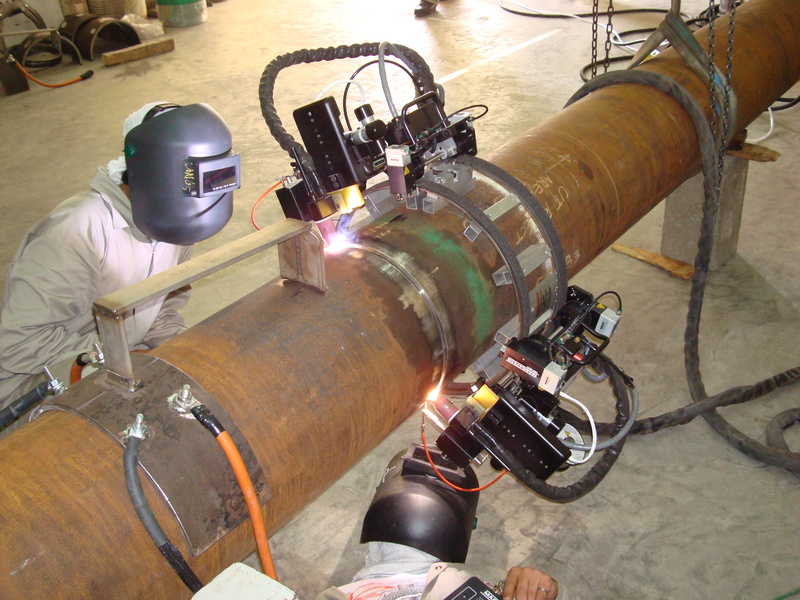 The root pass weld bead was inspected by videoscopy and the bead profile inspected by a Laser Optical Profile Measurement tool. Defects were well under 1%. Twenty four weld systems were used to double joint pipe in a yard for transportation to the work site. Orbital Welding Systems For Use In The Aerospace Industry: How Magnatech Can Help!